You may also need to accept the authentication server certificate. I can't login to Canvas! Try going to PANet, and then logging in, and clicking the link on the top-right to go directly to Canvas. If this still doesn’t work, you will need to clear your cookies. Go to your browser history or settings, clear history, and make sure you select “cookies.” Clear it and try logging back into Canvas. I can't check my schedules! Try right clicking on the schedules link in PAnet and selecting "open in new incognito/private window." Enter your PA credentials in the new window that opens. The other, longer-term solution is to clear your cookies. Go to your browser history or settings, clear history, and make sure you select “cookies.” Clear it, restart your browser, log into PAnet, and try opening your schedules again. Go to your mail client, and in “Settings” click “Add account”. When asked what type of email, select “Exchange.” Enter your Andover email and password. Go to mypassword.andover.edu and follow the instructions there. Go to mypassword.andover.edu and click on “Reset my Password.” Answer your security questions, and you should be able to set a new password. If you don’t know your security answers, you will need to go to the OIT help desk in the PACC (in the basement of the library). They are open on weekdays from 8 am to 5 pm. Remember to bring your student ID! Unfortunately we cannot help you with this problem. This is because Andover’s Wifi runs on a different security protocol than what most wireless printers are designed to run on, so your printer will not work wirelessly. For your wired printer to work, you need to have the correct drivers for the printer installed. A CD or a link with the driver should have been provided when you purchased the printer, and all you need to do is download and install the driver. If you misplaced these, try searching your printer model name online to find drivers for it. If you do not have a printer, or if all of the printers you touch do not work, there is another option! While on-campus, head over to printon.andover.edu, login, and select a printer to start printing. Just head over to the selected location and pick up your prints. PrintOn will only load properly if you are on Andover’s Wifi network. If it still doesn’t load, then PrintOn’s servers are probably down (This is highly unlikely though). 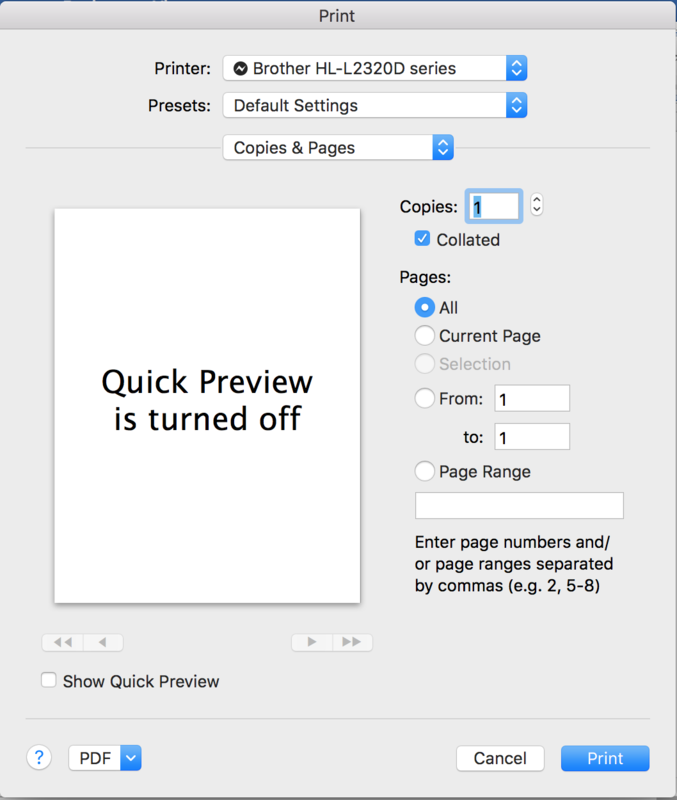 Select “Copies & Pages” and go down the dropdown to select “Layout.” There will be an option called “two-sided,” which you can change to print double sided. My charged iPad/iPhone won’t turn on, or is "frozen"
Try to do a force restart. Unplug the device from your charger, and press and hold the power button and the home button at the same time for at least 10 seconds until the Apple logo appears. My charged Android device won’t turn on, or is "frozen"
Try to do a force restart. Unplug the device from your charger, and press and hold the power button for 10 - 20 seconds until the display turns on again. As an Andover student, you are able to get the latest version of Microsoft office for free. Go to products.office.com/en-us/student/office-in-education?ms.officeurl=students and enter your Andover email to get started. Download the “Outlook” app onto your phone. Add an “Exchange” email account, and input your Andover email and credentials. Note: This is still a work in progress. Have a question or suggestion for the guide? Email us at [email protected], or contribute directly on GitHub!